See homes for sale around the Federal Center land for the new Lakewood development here or scroll down. LAKEWOOD – It could be the biggest development for the City of Lakewood since Belmar. The city council is set to vote Monday evening on a negotiated exchange proposal that would give Lakewood 59 acres of land in exchange for construction services on the Federal Center campus, near Union Boulevard and West 6th Avenue. 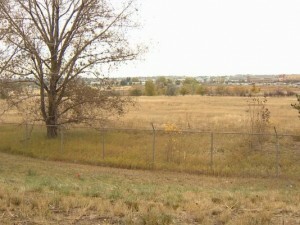 The plot of land was appraised at $25 million. And that’s how much the city of Lakewood would spend to work on the Federal Center campus per the deal. Specifically, the city would build a new lab for the Food and Drug Administration and U.S. Geological Survey to replace the existing one. Once this is done, the city would own the land. Funding for the project would come from refinancing a lease-purchase agreement, as well as Lakewood’s existing savings account. According to Lakewood Mayor Bob Murphy, once the city obtains the land, it will sell parcels to the private sector with the city council’s guidance. The neighborhood authority, meanwhile, will determine what works best in specific areas.